which includes a bath and flea rinse. Bookings essential. Thank you for taking the time to visit our web site. Sharon, Kay and Garry are the new owner, and managers, and reside on site. 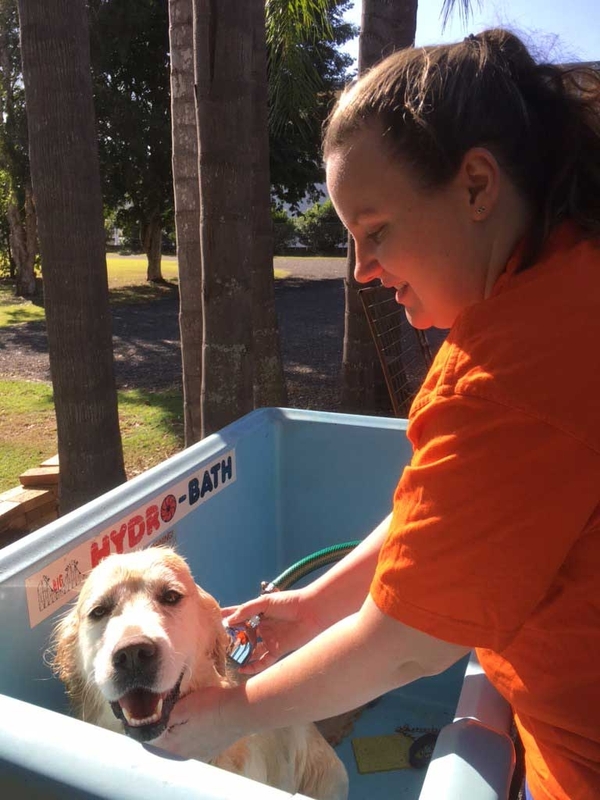 Fidos boarding lodge and Cattery is located just 10 minutes from Ipswich, but our clients come from Stradbroke Island to the Gold Coast. We service the Ipswich area and surrounds. Our repeat business says that people are happy with what we are doing. Please feel free to give us a call to inspect our facilities. We do ask that inspections are by appointment, and during our trading hours so not to disturb our boarders. As a small boarding kennel we can offer your pet individualised attention. Our dog kennels have a large sleeping area, a day run that is insulated, so your pet stays cool in the summer and warm and dry in the winter. We also have big exercise yards for the dogs to have a run at least once a day, twice a day weather permitting. We feed our guests the same as our own dogs - Royal Canin, and fresh Chicken mince or loaf, whichever they prefer. The cattery is in the process of an update giving our feline guests more room, and is totally separate from the kennels and well ventilated, to ensure they are kept cool and warm. We feed premium dry food Royal Canin, and the cats evening menu varies daily from fish or chicken to beef. We don’t charge extra for administering medication, or feeding your own food. Please feel free to give us a call and make an appointment to inspect our updated facilities. We would love to show you around. We offer a 10% discount to all serving Australian Defence Force members. Ready to book your pets stay? After using different kennels over 20 years moving around in Defence, and now every 2nd week working in the Mines; Fidos is the Best Kennel I have ever used. The service is Flawless, the best in price and when my Dog Jake is told he is going to Fidos, gets happy & excited. It is truly a CREDIT to Kay and the whole Fidos Team. We’ve become regulars. Dogs always come home happy. Kay knows her stuff & is very personable! Tracey Johnson recommends Fidos Lodge Boarding Kennels and Cattery. Thank you Fido’s for you’re brilliant care and service. Love how we were greeted and esp that we rocked up with only minutes to spare before closing. So accommodating and helpful. My fav part was travelling home with two very nice clean dogs. 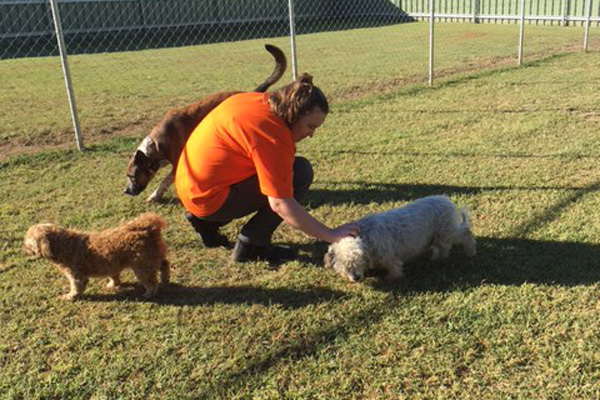 Simone Russell recommends Fidos Lodge Boarding Kennels and Cattery. Extremely happy with the service provided to our two dogs over Christmas. It was great to be able to house the two together and they had a great time. The kennels are very large and updated they get proper exercise and you can tell the staff love animals large and small. We would not hesitate to take our dogs here again. Thank you very much! Amazing facility and wonderful owners. I was extremely anxious about putting my dogs into the Kennels as it was their first time and they are somewhat wary of people and other dogs. I was made to feel at complete ease when I inspected the facility and felt comfortable about leaving my puppers at Fidos. I have since picked them up after their 4 day stay and my dogs didn’t want to leave! I strongly recommend Fidos. Thank you for looking after Maggie and Diego they will be back again. I have just picked up my two dogs this afternoon after a short two night stay. This was both my dogs first experience at a dog kennel and first experience staying somewhere unknown. My dogs look and smell amazing. I would highly recommend Fidos Lodge to anyone who is unsure about leaving your dog at a kennel The staff are extremely lovely and accomodating with your dogs special needs which is definately peace of mind. I cannot thank them enough. My dogs will definately be back. We love the genuine care that our dogs always receive at Fido’s. The owners and staff are absolutely lovely and it’s so wonderful to be able to go away, relaxed and knowing that our dogs will be happy and treated like we would treat them at home. We highly recommend Fido’s. that care about them as much as you do. We drive 4 hours to take out family members to a place we trust. New owners have done an amazing job! Most attentive and caring animal lovers you will come across. We drive an hour and a half for drop off and pick up. Would not trust anyone else with out family members. Our pets love us going on holiday. The come home looking well nourished and cared for. Totally professional who know what they are doing. No anxiety worrying if our pet are okay. Professional, caring and attentive is what you want for your pets, when leaving them in a kennel. Fidos Lodge offers all that and more…..
Our dogs came home looking better than when they arrived. We drive and hour and a half to drop them off and wouldnt go anywhere else. Our dogs have a lovely relationship with these owners, and enjoy us going on holiday now. No stressing your pet is Okay. We have full trust our family members are cared for extremely well. Had our kelpie stay there several times and the cat a couple of times, always happy when they come home, and had a great time staying. Sunday: 4 pm -5 pm Easter Sunday & Easter Monday 4pm to 5 pm.